Enter gorgeous double doors to a grand entry with high ceilings and plenty of natural light. 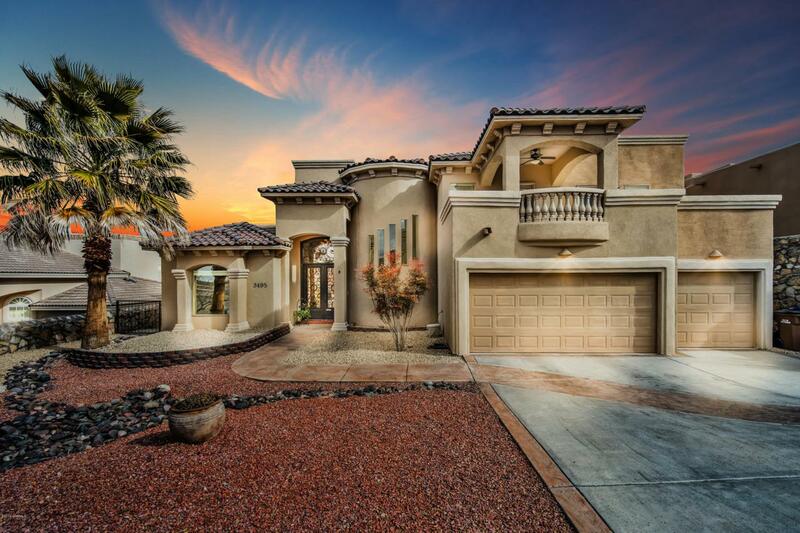 This elegant home is spacious with an open floor plan, two living areas, and a three car garage. Enter the living room through unique pillars to find a sophisticated tray ceiling, fireplace, and wet bar-perfect for entertaining! Kitchen features bay and picture windows, breakfast bar, garbage disposal, gas range, and ample granite counter space. Separate large dining room as well! Huge master bedroom with another tray ceiling and an attached bath featuring double sinks, jetted tub, and walk in closet. Relax outside in the low maintenance back yard and enjoy the covered patio with fans and a mountain view.